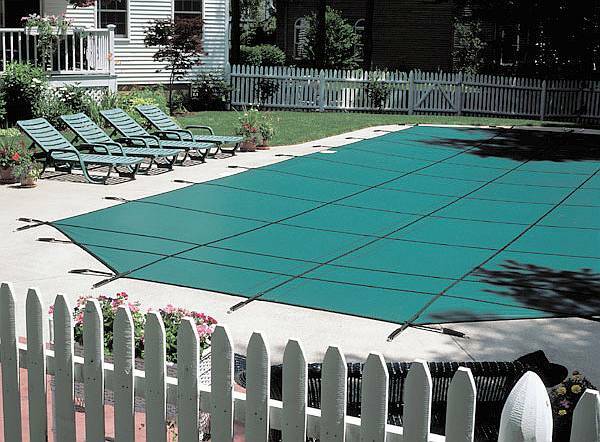 Ultra Light Solid Safety Cover - Pool Size 18ft x 36ft Rectangle - WS2162. Our lightweight solid safety covers contain super strong fabric that provides Ultra Light safety covers with its superior strength and ultra light characteristics. Ultra Light covers resist tears, rips, chlorine and sun damage & insure that your pool is crystal clear when you open it each spring. Ultra Light is over 35% lighter than other solid covers so it is easy to install & remove. The patented center mesh drain catches the finest dirt & debris, but still allows the cover to drain. This eliminates the hassle of pumping off your cover each spring. Since Ultra Light is solid no algae can grow & your pool will remain clear all winter long! Ultra Light covers are supported by super strong 5' x5' webbing that makes this cover ultra strong as well as lightweight. These solid covers are made of rugged two-ply polypropylene mesh with a break strength of over 4000 lbs! Covers are formulated to be impervious to UV rays, mold & mildew. 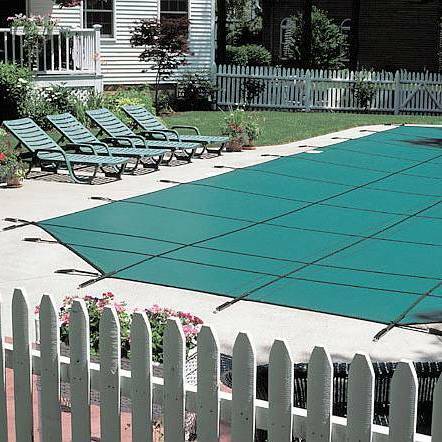 Covers are 2 feet longer and 2 feet wider than your pool and come complete with brass anchors, stainless steel springs, installation tool, storage bag and complete installation instructions. Built for superior performance and longevity, Ultra Light is backed by a 20 Year Warranty. The Ultra Light covers are available in your choice of Blue or Green. Rugged polypropylene material is loaded with UV protection for super long life. Tough poly thread resists tearing, dry rot & stretching for a perfect fit that lasts. PLEASE NOTE: Any Safety cover with a step centered in the shallow end or flush on the left or right is considered as custom and can take 10-15 business days before it ships. 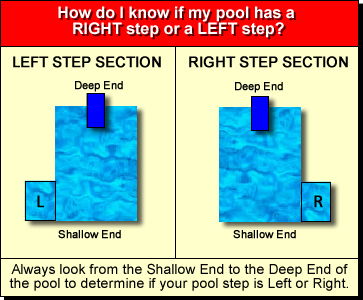 Also any order with a step other than 4'x8' centered in the shallow end or flush on the left or right is considered as custom and IS NOT RETURNABLE. 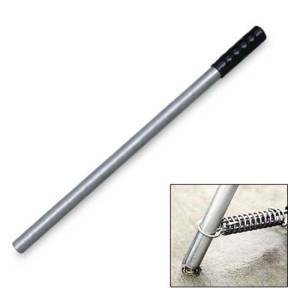 Your cover will come with approximately 34 anchors and an additional 2-4 anchors if you have a step section.